Have you been searching for the best instant camera you can use to take instant photos? This article presents Instax Mini 9 which is an upgraded version of Instax Mini 8. The later has been in the market for quite some time and it is arguably one of the most preferred cameras of all time. One of the best things about Instax Mini 9 is that it is easy to use which makes it a perfect choice for children and beginners. It comes in different colors for those who prefer specific colors. As you will see from this review, it has so many features that make it unique from others. Check out the article to learn more. What makes Instax 9 a better choice than Instax Mini 8? It has a self-mirror which enables you to adjust the framing of your shot when taking pictures. It has a close-up lens attachment which allows you to take pictures from far distances. Available in 5 different colors as compared to the Mini 8 which has fewer colors. Instax Mini 9 is very easy to use and for this reason, it is the perfect choice for starters. The best thing about this camera is that it has automatic settings selection which shows you the best settings for different light conditions. Instax Mini 9 has a plastic mate finish and it is available in five different colors. It weighs 307g which makes it easy to carry due to its compact size. It measures 116mm x 118.3mm x 68.2mm and uses two AA batteries. Self-timer– This allows you to capture group photos with ease. The camera has a shutter speed of 1/60 per second and a high-performance flash which calculates and adjusts the surrounding brightness to prevent under or over exposure. It has a flash range of 0.6 -2.7m, which enables to capture well-illuminated pictures even at night or in dark areas. Apart from that, it has a minimum recycle 0.2 seconds which enables you to take multiple photos instantly. Screen and sensor– You can use a viewfinder to plan your shots. It contains a minimum of 0.37 magnifications to make the final shot clear. Instax 9 enables you to takes selfies comfortably using the front mirror which is found just next to the camera lens. Focus and optics – This camera contain a 60mm lens which captures high-resolution images. It has a minimum focus of 0.6m which allows you to take close up shots. Instax 9 also features an auto exposure function which adjusts the aperture, shutter, and ISO automatically to give you an image which is of high quality. You can use manual mode to set the exposure manually. HI-Key Mode– You can select the fifth option on the dial referred to as “hi-key” mode when taking photos with a soft impression. Verdict – Instax Mini 9 is indeed the best instant camera you can find on the market today. It is affordable and very easy to use which makes it ideal for everyone. If you are searching for a camera which you can use to get instant quality photos, Instax Mini 9 is the perfect choice for you. 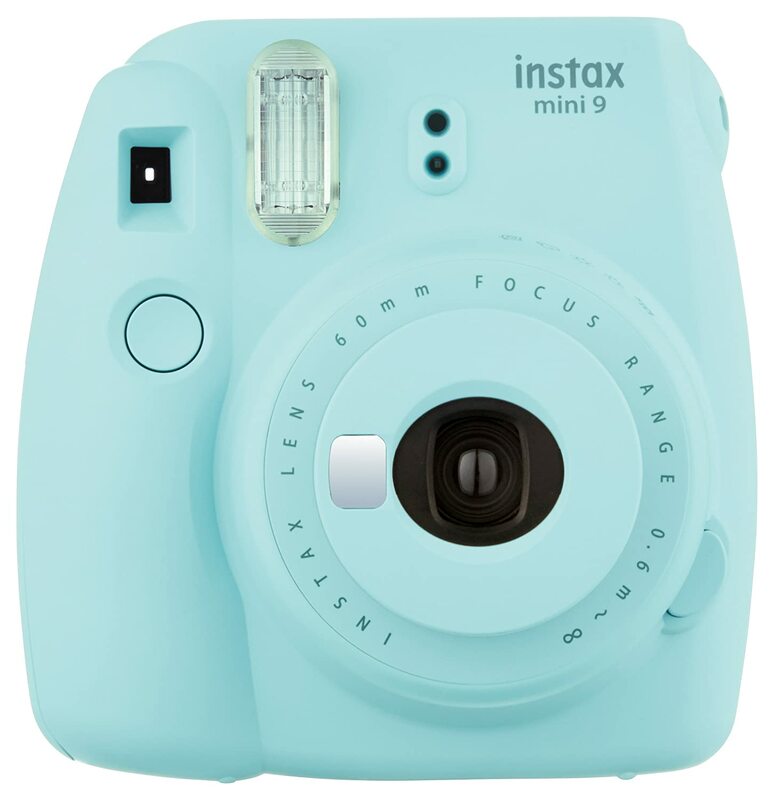 Instax Mini 9 is an upgraded version of Instax Mini 8 which makes it a perfect choice for anyone in need of an advanced instant camera. If you already have a Mini 8, you do not need purchase Mini 9 since they are slightly different. It is very easy to use and affordable. As we have seen, Instax Mini 9 is indeed the best instant camera you can consider today. It is my hope that you have found this review to be of great help in your search for a quality camera. Do you know you can purchase this camera online from the comfort of your home? How to choose your best digital piano?